Where can you find hot subs and cold beer in the heart of Deep Ellum? Planet Sub, that’s where. This modern sub joint is revolutionizing the fast food experience with fresh, quick and convenient wraps, salads, soups and subs that are out of this world. The bread is made from scratch daily and you’ll never find that preservative stuff in any of their fixings. With the cheapest beer prices in Deep Ellum, it’s the perfect place for a quick dinner and drink before hitting the town. 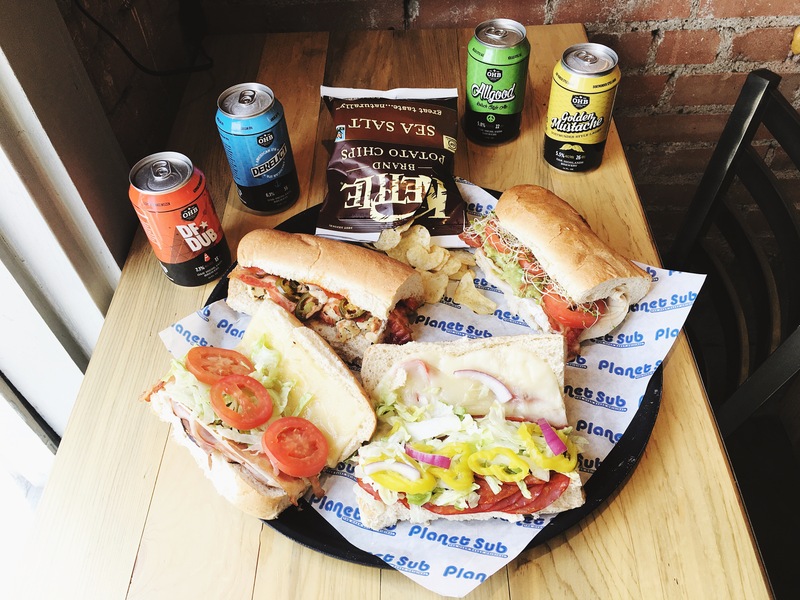 Planet Sub offers a variety of beer in cans and on draft–OHB is available both ways! Coming with a group? Pitchers are available at an unbeatable price. This industrial establishment found off Commerce Street is the ideal place to start your Deep Ellum evening.